The award-winning character actor, whose career ranged from arthouse Indian films to Hollywood epics, died of a heart attack at his home in Mumbai, a family member told the Press Trust of India. He was 66. "It's really a great loss," the veteran scriptwriter Javed Akhtar told PTI. "Wonderful person, great actor and with such impressive body of work, right from Satyajit Ray to any commercial Hindi film to films in US and Pakistan," he said, referring to the renowned Indian director. Bollywood stars tweeted their shock at the news, which broke early Friday, with Amitabh Bachchan saying he was "shocked" to learn of Puri's death. "A dear friend, a lovable colleague and an exceptional talent ... in grief!" he said. Actress Priyanka Chopra said it was "The end of an era", adding, "the legacy lives on". 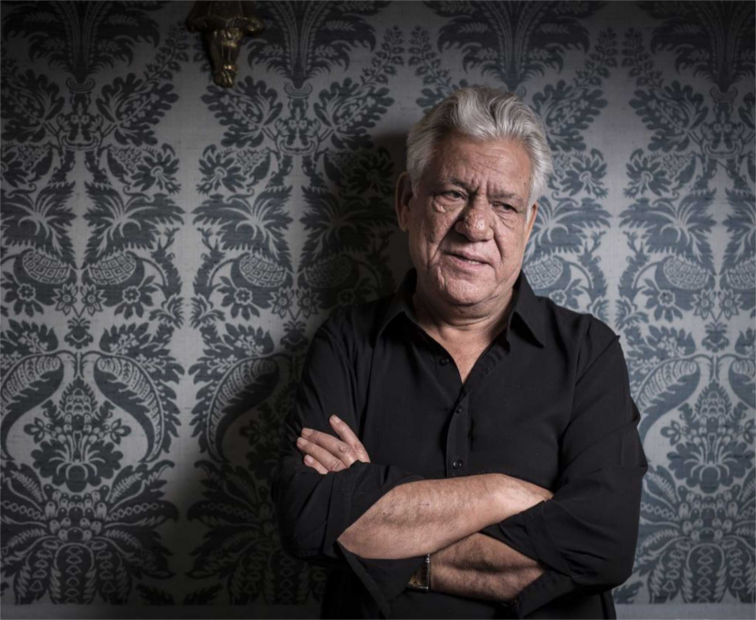 Puri made his debut in the mid-1970s before going on to star in a number of major Hindi hits as well as, controversially, in some Pakistani movies. He was known in India for his role in edgy arthouse movies such as Aakrosh (1980) and Ardh Satya (1982), for which he won the National Indian Film Award for Best Actor. But he also acted in major Hollywood hits, featuring alongside the likes of Jack Nicholson, Tom Hanks and Patrick Swayze. "Though I did try to resist commercial films for quite some time, I succumbed to it finally as money was equally important as art," Puri wrote in his autobiography. "But as an artist I never compromised on what I had to do on-screen, even if the film was not up to the standard." Puri appeared in a number of British films, notably Richard Attenborough's 1982 epic on the life of India's independence movement leader Mahatma Gandhi. He starred in the 1999 Bafta-winning comedy "East is East" as a fish-and-chip shop owner who struggles to get his British family to follow the strict Pakistani customs he is used to. He was awarded the Padma Shri, the fourth highest civilian award in India, for his services to the film industry and in 2004 received an honorary OBE for contributions to British cinema. The award-winning actor made an impact on the other side of the Atlantic too, appearing alongside Nicholson in "Wolf" (1994) and Val Kilmer in "The Ghost and the Darkness" (1996). In 2007 he played Pakistani general Muhammad Zia ul Haq in Hollywood film "Charlie Wilson's War", which starred Hanks and Julia Roberts. Puri -- who was born in Ambala, now in Haryana state -- to a Punjabi family in 1950, also starred opposite legendary British actress Helen Mirren in the 2014 film "The Hundred Foot Journey". He was sometimes in the headlines for the wrong reasons, enduring an acrimonious and well-publicised split from his wife Nandita Puri. <>In October he was accused of insulting Indian soldiers shortly after 19 were killed in an attack on an aprmy base in Kashmir when he asked, "who had asked the soldiers to join the army?". <>India blamed Pakistan for the raid and Puri was actually arguing against banning Pakistani artists from working in Bollywood films, but his comments sparked a furore on social media.